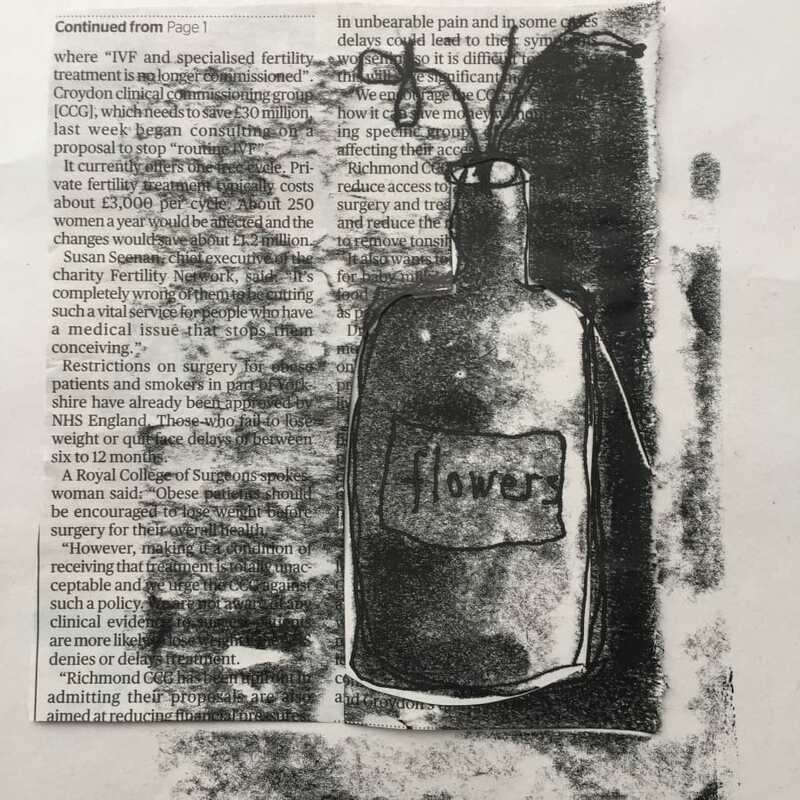 Mono printing is a great form of printmaking for beginners and seasoned practitioners - accessible and immediate you will produce prints easily once shown how. I absolutely loved this class, Armi was the most charming and comprehensive of teachers.Her studio is stunning and with the addition of the most delicious handmade cake shared during the break, she made us feel totally at home.I would highly recommend this course, I came away feeling totally inspired. A class on both mono printing and gelli printing. Armi was very informative and friendly. The venue was gorgeous and the cake was great. Perfect size class with just 6 of us. Armi was very kind in making sure that my daughter didn’t feel out of her depth. Armi’s class was great - we learned lots of different printing techniques - it was very hands on and experimental, and great for keen artists or complete beginners. Everyone came out with lots of lovely prints at the end. The studio is beautiful and fantastically equipped. I’d recommend this to anyone for a creative, inspiring way to spend an afternoon. A fantastic & inspiring workshop from Armi! We had a wonderful morning doing some initial drawing exercises followed by a well demonstrated lesson in creating mono prints. Armi showed us a small powerpoint & lots of samples to give us inspiration before we started creating! She has an extremely well stocked supply of exciting papers & ephemera that we were able to use in our designs. The studio is absolutely gorgeous, with generous space to work in. Combine all that with some amazing cake & coffee.....just a wonderful creative morning! Can't recommend it enough! A brilliant workshop. We learned so much in such a short space of time, I was really pleased with my mini mono prints. The studio is absolutely stunning, the most beautiful I have ever seen - well equipped, light and totally inspiring to work in. The homemade cake was such a personal and delicious touch too. Thank you Armi, I am booking my next workshop now. Armi is an excellent teacher, very friendly, really well-prepared and informative, supportive and inspiring. Her studio is a delightful space full of light, and with enough space for each of the 5pf us to have our own work Station with rollers and inks and papers, etc. She provided everything we needed to make a number of mono prints using several different techniques,. 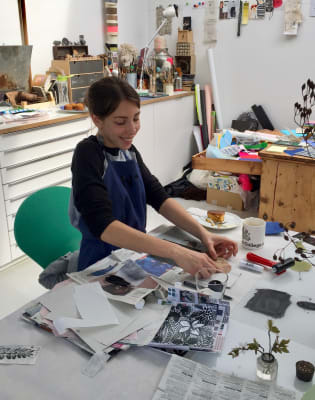 She had prepared lots of beautiful pressed flowers and grasses that we rolled up and printed as a fantastic array of materials to create textures and colours , drawers full of collage papers and various treasures. She has clearly been collecting all this stuff for years and is so generous to share it with us. And there’s coffee and cake! My only complaint would be that 2 1/2 hours flew past and I didn’t want to leave. I would definitely encourage anyone, beginners of practicing artists , to enjoy a session with Armi in her stunning studio. You won’t be disappointed. This was a great fun introduction to mono printing. We had the run of Armi's beautiful studio, which is a totally inspirational space in itself, and had lots of opportunity to play with the different techniques that Armi showed us. The only disappointment was how short the session was, as by the time I was getting to grips with the possibilities it was time to pack up. I could have gone on all day! Armi packed a great deal into a couple of hours which flew by in her perfect studio, filled with light, a true creative space. I learned loads despite being a lifelong dabbler, was so absorbed I had no idea I'd fingerprinted my face thoroughly. Superb instruction, felt able to experiment. Totally achieved what I wanted, which is to revive the creative process, get the itchy fingers back. Job done, but will be back for more classes as a springboard to get back in the groove. Armi Maddison is a knowledgable and experienced art educator with many years teaching experience in the post 16 sector, including A level, Btec, Access, Foundation and Degree. She creates a friendly, supportive and fun environment whilst encouraging you to achieve your full potential. 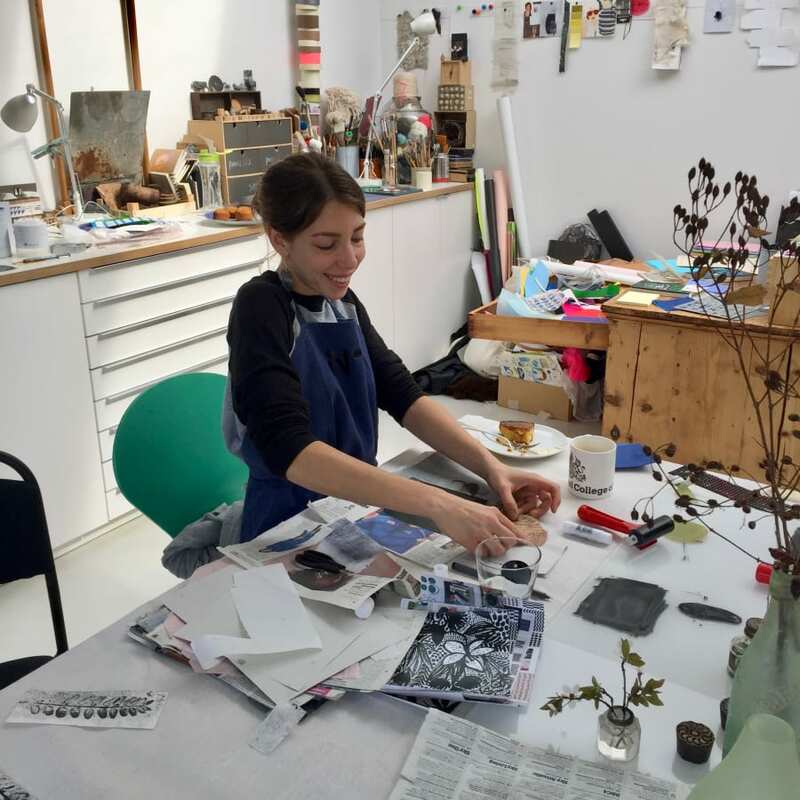 Armi will show you many examples of different printmaking options and possibilities for you to take in your own direction or be helped and guided as necessary. All processes will be fully demonstrated so you feel confident and equipped to use the studio facilities. With all materials included and a great choice of papers and colours you will not fail to go home happy with several print artworks you have created. Armi is a practising artist, she has been producing her own work since she studied her degree at Kingston University a while back! 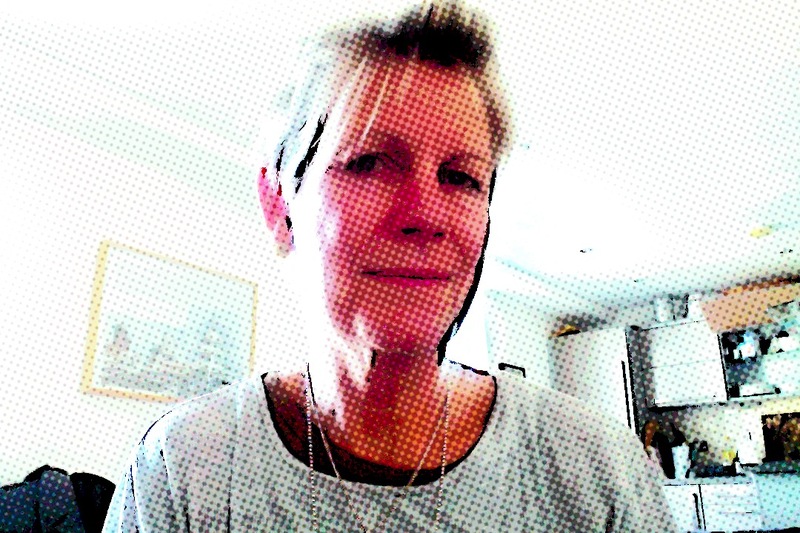 She specialises in mixed media processes and has shown and sold in exhibitions and open studios. No5workshops is a fabulous light and well equipped and purpose built studio space set in a beautiful gravel garden in East Molesey (Hampton Court - just 35 minutes from central London) You can escape from the hustle and bustle of daily life to work in a friendly informative and fun space and get into, or back into a creative experience. Max 8 people ensure everyone gets the help they need and the space to work. Beautiful homemade cake, tea and coffee to keep you going! We offer, skill taster days, short courses, ongoing open workshops or event days to celebrate a special occasion with friends. We would love to hear from you! Please make contact to arrange.